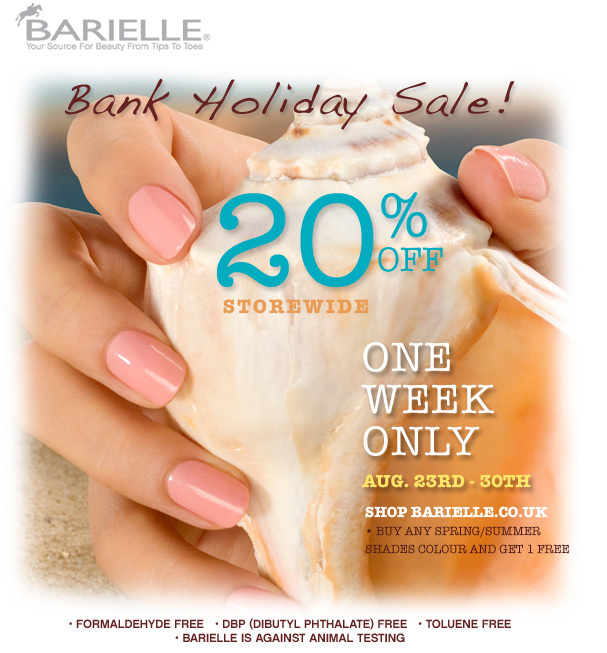 Hey Charlotte, on the Barielle website, its charging me for both nail polished, only offering me the 20%. £12.80 for 2. How do I BOGOF to apply? Thanks Hun. The BOGOF only applies to the spring summer shades and when you select a shade from the list, you need to actually click on it’s title, then select your ‘freebie’ from the drop down list. I’m on my phone so can’t link you to show you, but if you’re still having trouble later I’ll do some screenshots. I’m having the same trouble. I can get one for £6.40 but when you add your 2nd polish it goes back up to the £12.80. I am trying to choose A Bouquet for Ava and Blossom. 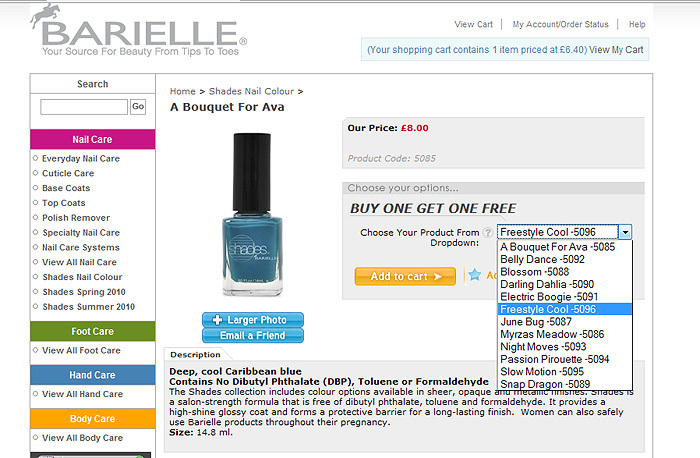 I click on the title of A Bouquet for Ava, choose Blossom from the drop-down and click “add to cart”. It shows only the one polish and a 20% discount in my shopping basket. claire thats right. once you go to check out you’ll see something like this. to show you that you have both polishes. HI Claire, Ive just seen Charlottes screen shot. This should help, Just choose the shade you like by clicking on its title, then as from screen shot you’ll see the drop down box, This is where you’ll select your other FREE nailvarnish from!. Good Luck. Brilliant! Thank you Charlotte and Kimberley. Do you know what is the color on the model’s hand? Out of the ones which are on BOGOF- I’d say it was for Blossom.